Have you thought you wanted to go to the space? 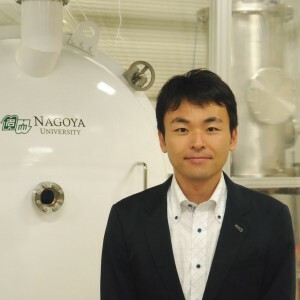 Through a simple experiment, Mr. Nagano talks about future possibility and his own mission to be brought by the heat control technology, which he learned from the space development. When he was very little, he loved the Martian and held admiration for the space. At the high school time, he watched the TV program that was discussing on the world 100 years later. It’s said “human might not be able to live on the earth because of too much energy consumption.” Since then, he was interested in the energy problem and Mars emigration plan. His specialty is the heat control for the satellite, performs the research & development that is particular about “Passive Heat Control System”. This system functions without electricity. In late years, he is engaged in not only the space but also a mobile device, a car, research & development of the energy utilization in the house in a keyword by “Heat”.